국제갤러리의 이우환과 정연두는 2018 평창동계올림픽 기간에 맞춰 2월 9일부터 25일까지 강원도 평창 문화ICT 관에서 개최되는 《한국현대미술의 하이라이트》전에 참가한다. 이 전시는 다양한 문화 프로그램을 통해 올림픽의 가치를 알리고 사람들의 참여를 도모하는 2018 평창 문화올림픽의 일환으로 기획되었으며, 회화, 조각, 설치, 미디어 등 거장의 작품부터 젊은 작가까지 한국 동시대 미술을 잘 보여줄 수 있는 작가 20여 명의 작품을 통해 한국 근현대를 관통하여 동시대까지 한국 미술의 주요 흐름을 짚어줄 뿐만 아니라 한국 현대미술의 아름다움과 역동성을 보여줄 것이다. 작품들은 <삶의 풍경>, <심상의 반영>, <세상과의 소통>이라는 세 개의 주제로 묶어 설치되며, 이우환은 대표적인 작품인 <선으로부터>와 <점으로부터>을, 정연두는 <시네매지션>을 출품한다. Kim Whanki and Yeondoo Jung are featured in a group exhibition titled Highlight. K-ART from February 9 to 25, 2018, at the Culture-ICT Pavilion, PyeongChang Olympic Plaza, Korea. This exhibition is part of the Cultural Programme of The PyeongChang 2018 Olympic and Paralympic Winter Games, which aims to promote cardinal Olympic values and ideals, as well as encourage public participation, showcasing works encompassing painting, sculpture, installation, and media by approximately twenty Korean artists. Featured artists include both historically significant masters and emerging artists who exemplify Korean modern and contemporary art, not only highlighting important movements within Korean art history but also portraying its inherent beauty and dynamism. 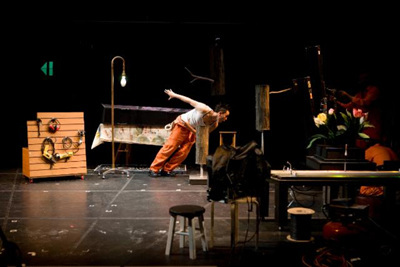 The works are divided into three themes that constitute the exhibition: Scene of Life, Reflection of Imagery, and Connecting with the World. Lee Ufan will exhibit works from his signature series From Line and From Point, while Yeondoo Jung will showcase his acclaimed video work CineMagician. 이우환은 서펜타인 갤러리가 진행해온 공공미술 프로젝트의 일환으로 2018년 2월 초부터 서펜타인 갤러리 야외에서 새로운 조각작품을 선보인다. 요소들간의 미묘한 상호작용과 구도가 돋보이는 새로운 조각작품 <Relatum – Stage>(2018)에는 기존의 연작 작품 속의 개념과 더불어 물질성과 차이점에 대한 작가의 지속적 탐구가 스며 들어있다. 두 개의 각진 거울형의 철판과 바위로 구성된 작품 <Relatum – Stage>는 공원의 주변환경을 반영한 시적 설치물로써 자연과 산업을 병합시키는 매개로 작용한다. 작품 공개와 연계하여 이우환은 20018년 2월 6일 오후 6시 영국한국문화원에서 서펜타인 갤러리의 아트디렉터인 Hans Ulrich Obrist와 대화의 시간을 가질 예정이다. Lee Ufan will present a new outdoor sculpture on the Serpentine Gallery premises in Kensington Gardens, London, in early February of 2018. Titled Relatum – Stage (2018), the Serpentine’s new sculptural commission by Lee Ufan continues the gallery’s exploration of public art. In its subtle interplay of elements and setting, Lee’s new work builds on ideas that permeated previous artworks in the Relatum series, as well as the artist’s own ongoing exploration of materiality and difference. 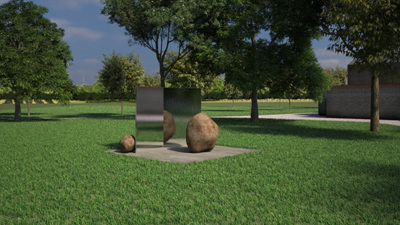 Comprised of two, angled, mirrored, steel sheets and two different-sized stones, Relatum – Stage will merge the natural and industrial in a poetic installation that reflects the surrounding environment of the park. In celebration of the debut of Relatum – Stage, Lee Ufan will be in conversation with the Serpentine Galleries Artistic Director Hans Ulrich Obrist at the Korean Culture Centre UK on February 6 (Tues.), 2018, from 6pm.